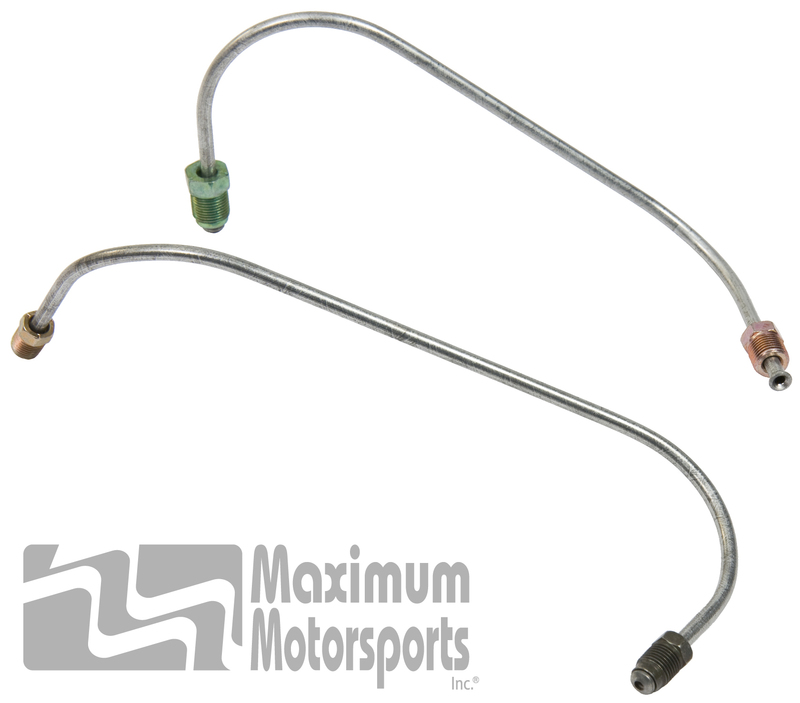 Hard-lines and fittings used with manual brake conversion, when retaining the stock 1987-93 Mustang 5.0L master cylinder. Connects the relocated master cylinder to stock 1987-93 Mustang 5.0L brake system. Connects a master cylinder relocated by a manual brake conversion to the stock proportioning valve location. Requires a manual brake conversion. For best performance, use an adjustable proportioning valve (BPV-1). You may read the MMBAK-5.1 installation instructions before ordering.